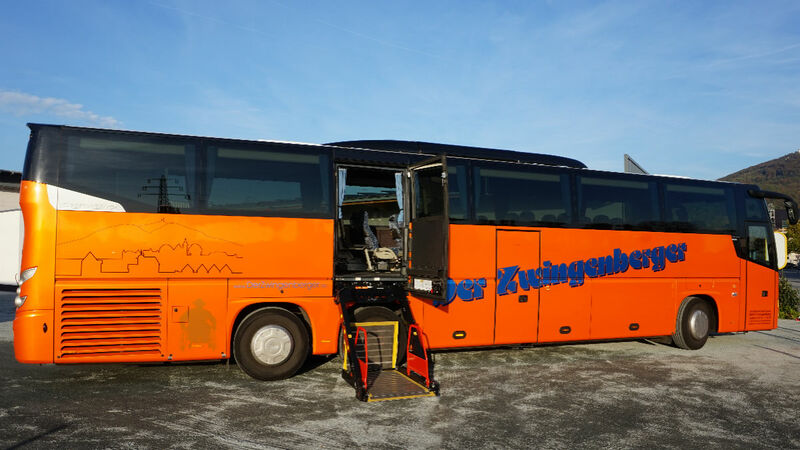 We are a family-run coach travel company located in the south of Frankfurt / Main, right in the heart of Germany and Europe. Our specialization is wheelchair accessible travel by coach. Since 1981, we have been offering high-quality coach services. With the acquisition of our first wheelchair accessible coach in 2001, we started a great story of success. Up until now, we have made our complete vehicle fleet wheelchair accessible. Apart from working with groups, we offer several holiday packages for individual guests with reduced mobility each year. Thanks to our long experience in this sector we have gained a broad knowledge and sustainable network of accessible hotels, excursions and service partners all over the European continent. As a family-run company, we are committed to the highest comfort of every individual guest. Travel like in family – we will be delighted to welcome your group! Located near Frankfurt / Main in the centre of Germany and Europe, we offer not only airport pickup from Germany’s largest airport, but also transfers within the whole region, country and continent, as well as coach hire. Thanks to our great experience in organising accessible holidays, we can also help you put together your accessible trip within Germany and Europe or even take over the full organisation of accessible trips to the destination of your choice. Please feel free to ask for samples of holiday packages or a concrete offer! All our coaches dispose of a lifting ramp to comfortably transfer wheelchair users into the coach. Once on the coach, guests may reach any seat of their choice with the help of a lifting seat. It is equally possible to remain in one’s own wheelchair, which will be attached to the ground for safety reasons. The spacious sanitary facilities can also be reached with the help of the lifting seat and electronic wheelchair batteries can be charged on the coach. The accessibility features of our coaches are presented in the following short video which unfortunately is only available in German. However, you will see most of the facilities even without understanding the language. Are you interested in our services? Please get in touch. We look forward to making you part of our family!